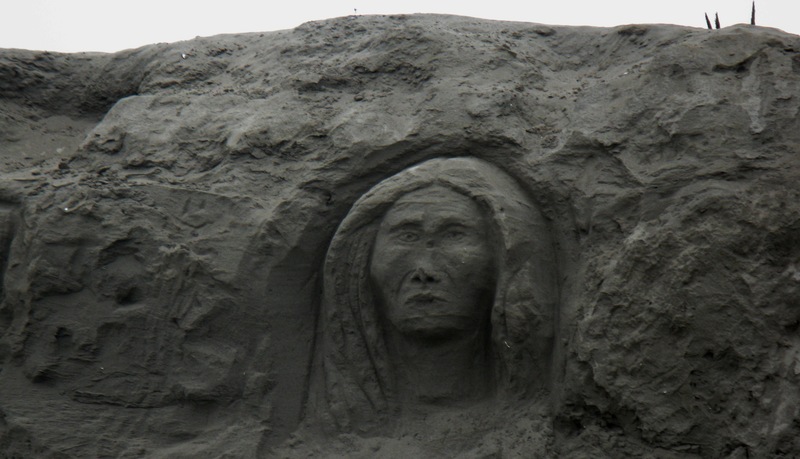 The current prompt reminded me of this sand sculpture that I came across. The sculpture still comes to mind now and then. Why would someone put such hard work into something that the tide would eventually carry away? My answer? They did it for me, and for you. The artist worked to bring joy to any strangers that happened by during the few days it was there. That is a loving gesture if I ever saw one. Thank you, anonymous artist, thank you! Categories: Challenges Prompts Contests | Tags: Art, beach, daily prompt, photographs, sand, sand sculpture, sculpture, Westhaven Beach | Permalink. You are so right. I see them working hard along the beaches here in FL all of the time and I so love what they do. It is transient and one of the most thoughtful gestures I know. There is no pay for their tireless toil in the sun for hours…it is pure joy they work for and to know they made another person smile or reflect. Truly awesome. I know, art for art’s sake, fading in a shorter time than it takes to make it. Amazing. Thanks for the visit. I love these art tours. A VERY THOUGHTFUL ARTIST,THANK YOU FOR MAKING MY PATTI HAPPY!!!! It was and I’m glad I was there to witness and take the picture. Thanks so much for stopping by and commenting. Not sure about this comment? I let it through because I went to her site and it looked valid to me. Maybe she’ll come back?